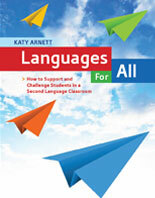 Learn about instructional adaptations known to be effective with second language learners. Consider ways to create an inclusive immersion learning environment to support the ELL learner. Second language teachers are provided with instructional strategies to inspire second language learners and truly accommodate diverse student needs.